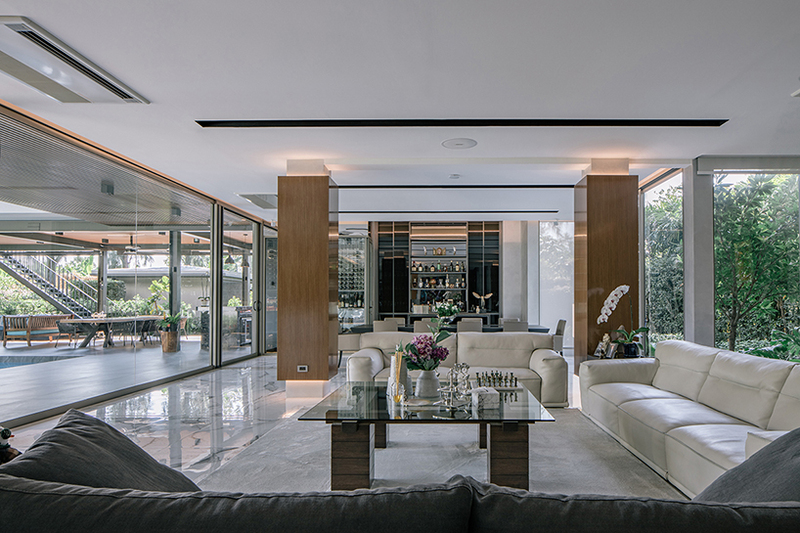 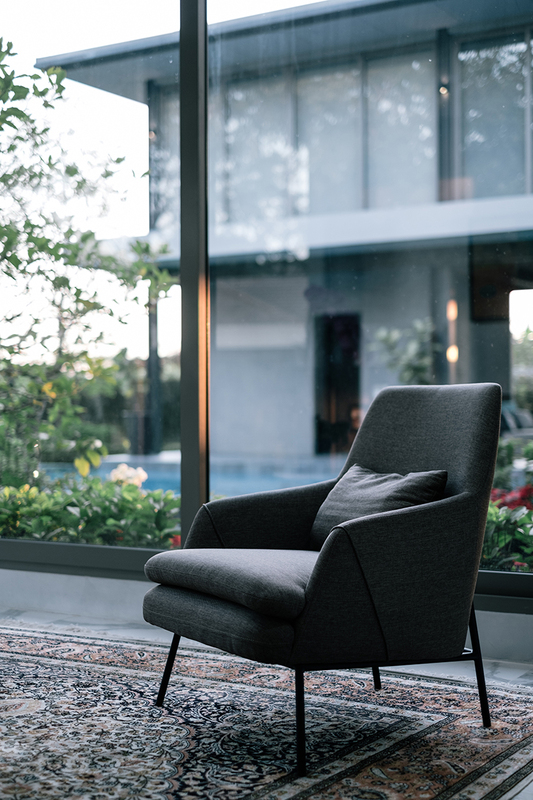 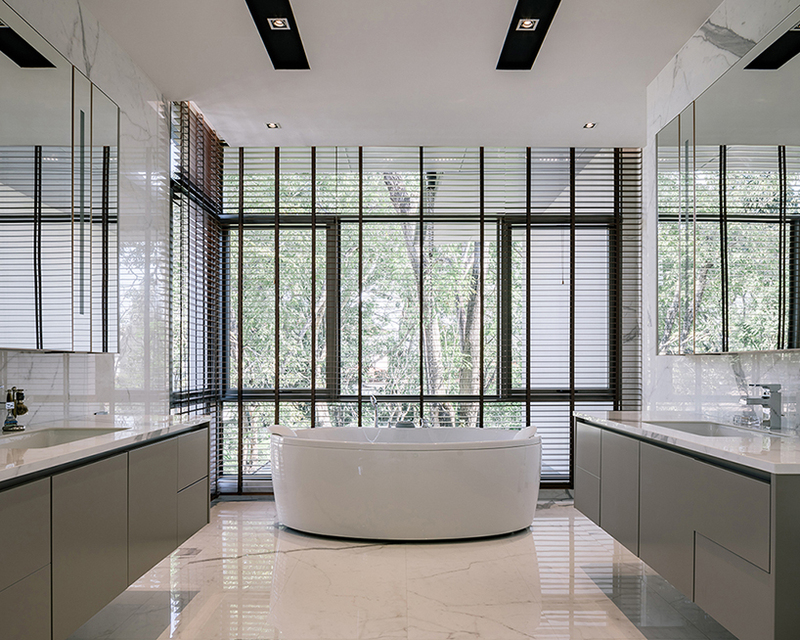 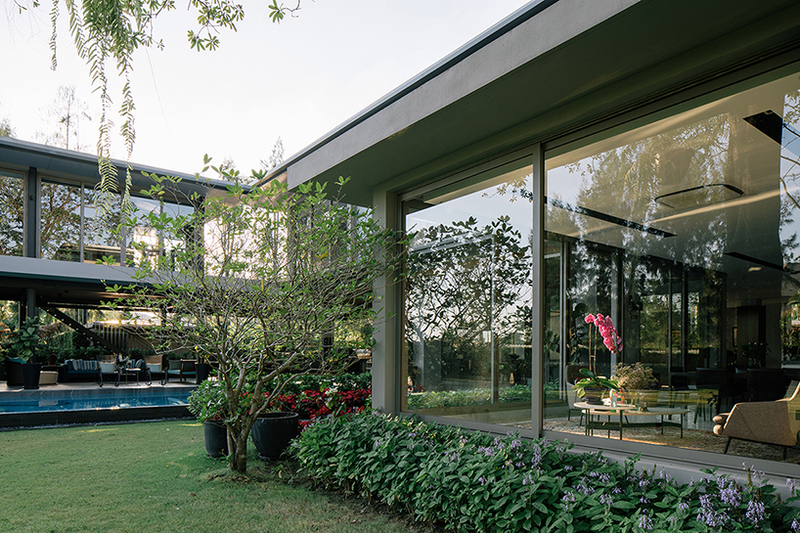 bangkok-based firm alkhemist architects has transformed a generic house into a sleek shelter of private, open, and calm atmosphere in an expatriate community on the outskirts of bangkok. 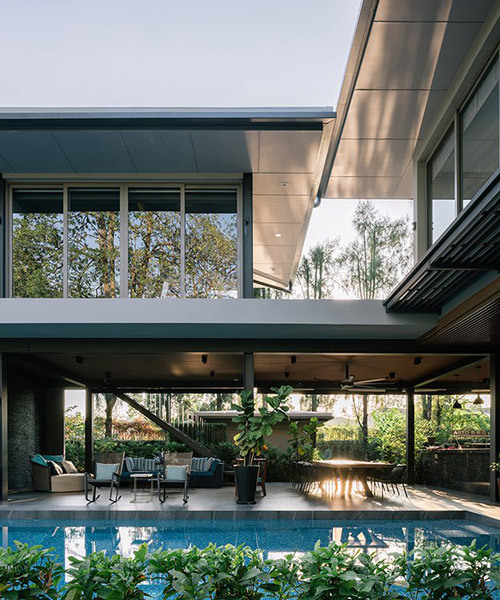 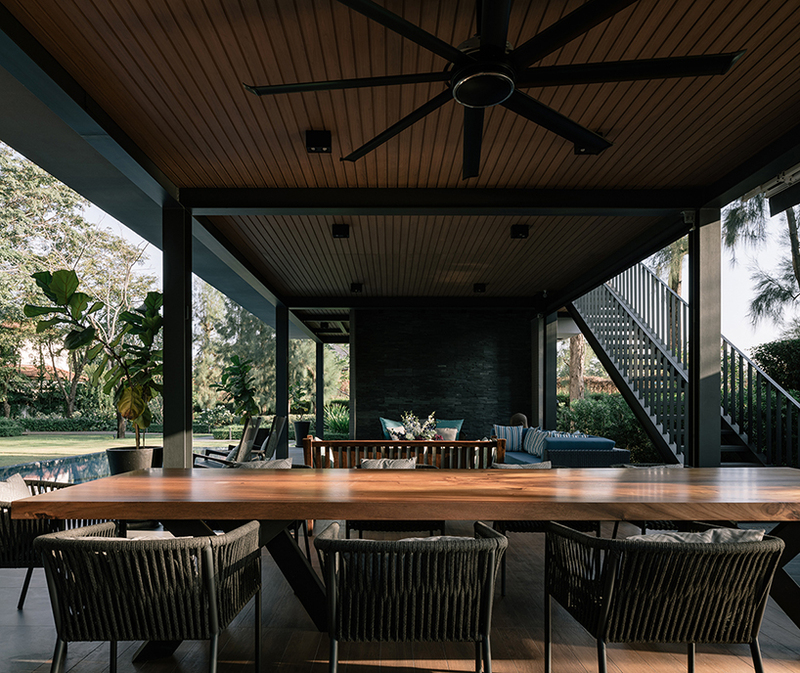 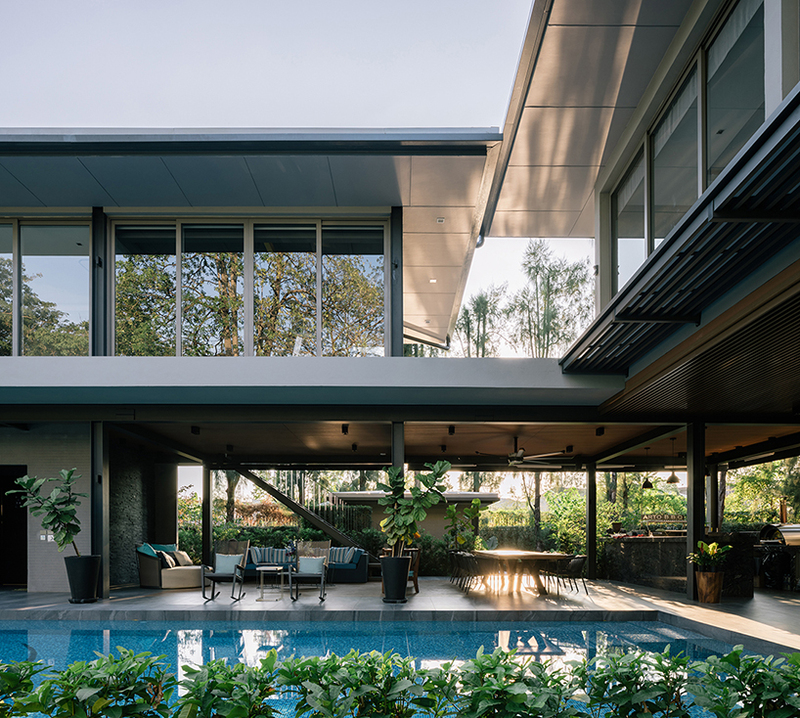 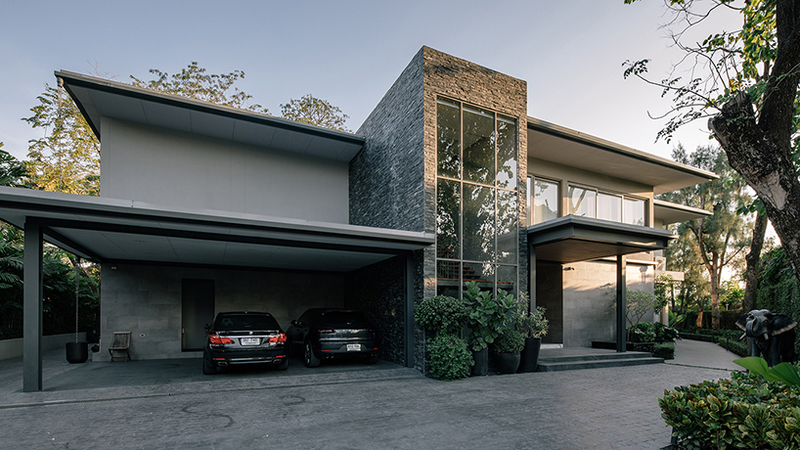 dubbed 26 ivy park house, this modified and enlarged structure sits at the end of a cul-de-sac inside nichadatani, the largest gated community in thailand. 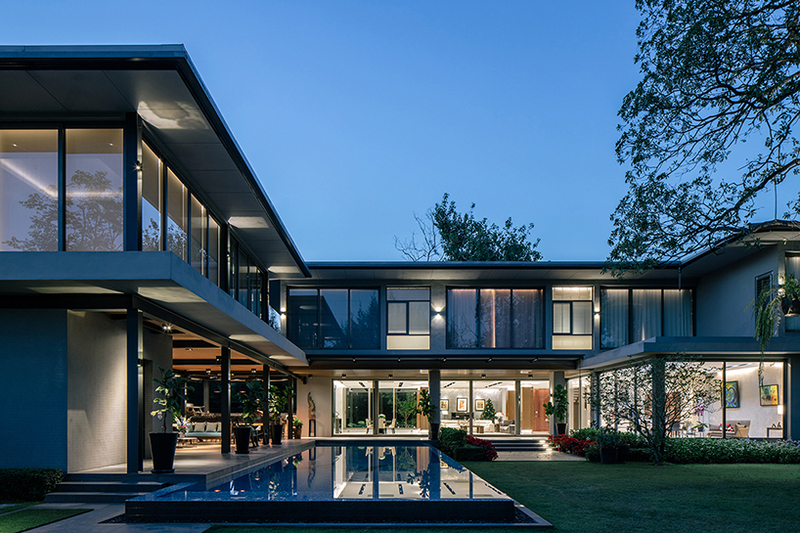 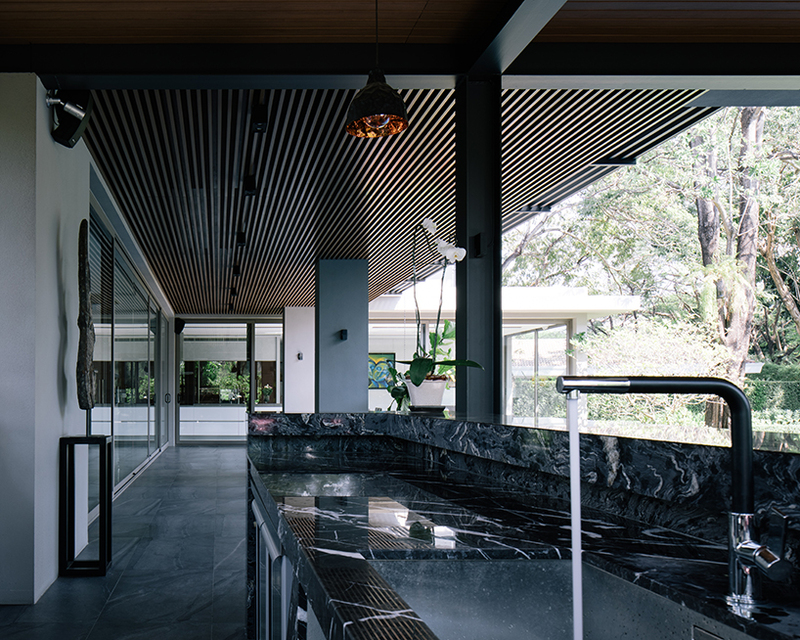 influenced by the attitude in julius shulman’s iconic images of mid-century modern houses in southern california, especially the ones from richard neutra’s and craig ellwood’s houses, the architects intended to adapt the sense of sleek coziness of those houses to meet with the harsh tropical climate of thailand. 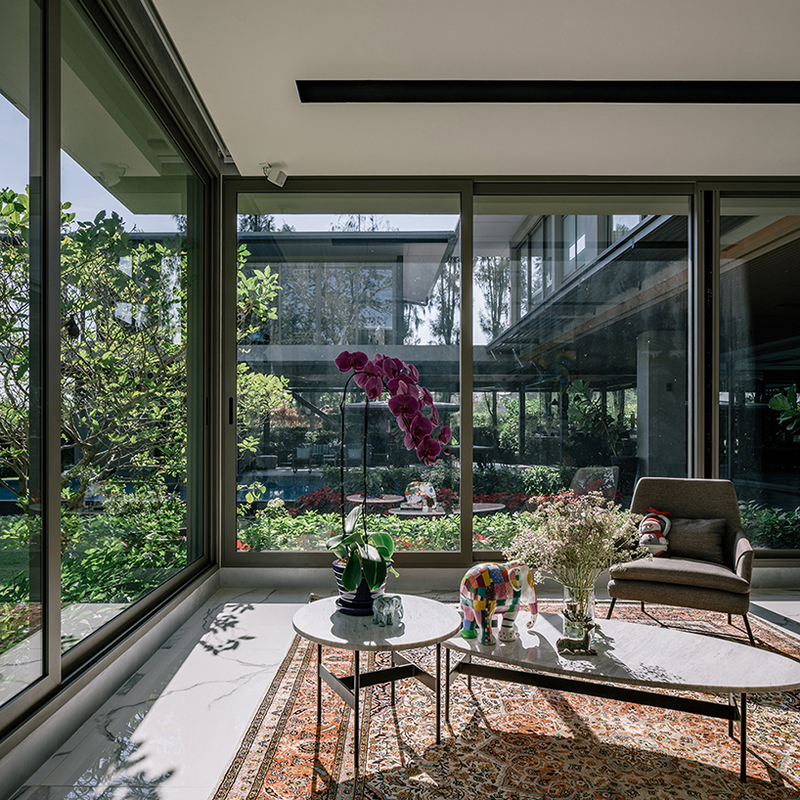 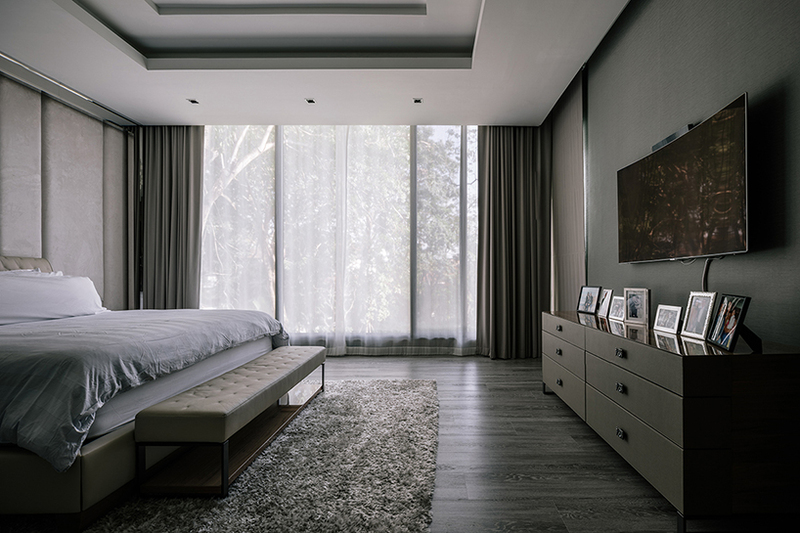 to achieve this vision, all the partition walls were torn down in order to gain more interconnected space and to erase the unnecessary superimposed curvilinear notion.